I recently wrote about the productivity challenges facing India. I have also explored the similar challenge facing Vietnam. The bottom line is this. Low cost labor is a fleeting competitive advantage. It is self-correcting, and there is always another market with lower cost labor. The question becomes the delta in labor costs vs. the transportation and barrier costs for products exported and imported. A recent article in John Mauldin's Outside the Box series featured GaveKal economists discussing RMB prominence as a global currency and the challenges facing China. Several key quotes capture the essence of their perspective. "In short, yesterday China’s trade mostly took place with developed markets, was comprised of low-valued-added goods, and was priced in dollars. Tomorrow, China’s trade will be oriented towards emerging markets, focused on higher value-added goods, and priced in RMB." "Over the coming decade, cheap labor may not be the comparative advantage it was in the previous decade, simply because the cost of automation is now falling fast." "One consequence of cheaper and more flexible automation is that some manufacturing that fled the developed world for cheap-labor destinations like China may return to the US, Japan and Europe, as firms decide that the benefits of low-cost labor no longer outweigh the advantage of better logistics and proximity to customers." "Re-shoring" is already underway. Reduced price advantage and logistics and quality complications started the process. Proposed tax modifications will encourage acceleration of the trend. But for American companies wondering how to tweak their game plan - what's important? 2. Manufacturing efficiency and productivity - America has a huge advantage. Our industry has become incredibly efficient as it has struggled against cheap imports. Quality has consequently improved, and management practice has been refined. Those American companies which manufacture products and offer services which contribute to increased productivity, improved efficiency and consistent quality will have enormous export opportunities. Emerging markets eager to make the transition from low-cost labor pools to manufacturing centers will have to incorporate our "lessons learned." And in many cases solutions one or two generations (technology generations) old will be in strong demand. That will simultaneously foster export opportunities as well as creating domestic US demand for the latest generation as slightly outdated versions find welcome owners overseas. 3. "Nexgen Globalization" - many American business people think of a bipolar world of trade. The cheap imports and the American alternative. As this evolution occurs, however, the reality will become (and already is) far more complex and nuanced. Relative value, value added and appropriately localized solutions will become preeminent factors. Supported by savvy localized messaging, capable and appropriate channel and a solid international strategy, products will become origin agnostic. Value, strategy and execution will become the ubiquitous currency of business. And capturing ephemeral pockets of opportunity will require savvy management. 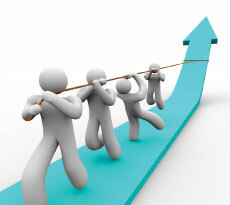 International agility and familiarity will determine the success of businesses. So American companies have simultaneously huge advantages and a potentially crippling challenge. Armed with all the technology and know-how they are perfectly positioned to become the productivity vendor to the world - and to profit handsomely. And yet they are largely (≈95%) unwilling/incapable/uncertain how to pursue the international opportunities that will define the real of success in the future. Can American companies rise to the challenge? Eager to put your business on a sustainable path to profit through the predictable global opportunities? Consilium Global Business Advisors guides companies through the process. It needn't be daunting, and it shouldn't be expensive and speculative. Contact us to learn about our international business development and export assistance programs.